Damn, Justin Upton, what did Andrew McCutchen ever do to you? 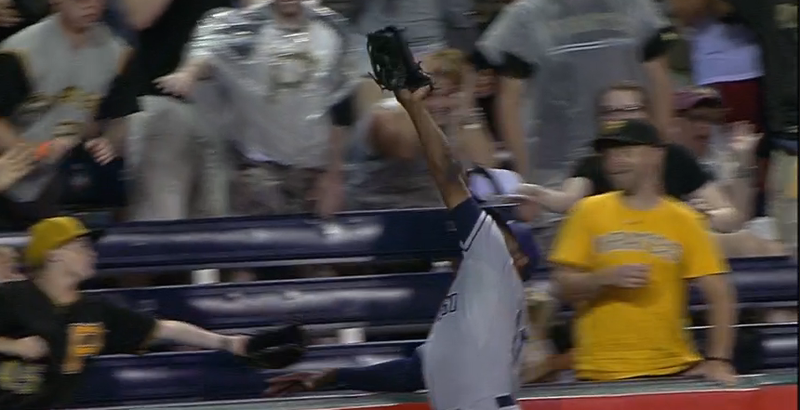 McCutchen had to think this go-ahead homer was long gone but Upton, recently named the Padres’ lone representative to the All-Star game, got way up above the wall to take it away. McCutchen got the last laugh, however, as his Pirates scored two more runs to win 3-2.